The Burning Eye: Something old, something new, something chaotic and something blue! Something old, something new, something chaotic and something blue! Greetings all, this is going to be something of a different hobby update post to normal, as the bank holiday here has yet again messed my internal clock mechanisms up (I'm currently on my first day back at work after the break, so feel like it's Monday, when in fact it's Wednesday and I've realised I'm two days behind my normal schedule! So, basically I've got my normal hobby update stuff, followed by a generic news update - aren't you all so lucky! Last time out I very proudly showed off my new gaming table, well this week it got the red carpet treatment - literally! Some old carpet found in my loft really smartened the gaming area up nicely, now I just need to get some method of stopping the draughts getting in through the garage door and we'll be getting somewhere! Question is, who do I get over to give the first game to? I'll tell you now - he's a pretty famous wizard. Next up, last time out I showed off the work I was doing on my commissions. I can now reveal that Fateweaver himself is complete and his screamer pals should be done this week. Work therefore will begin to progress on my next project, another space wolf 30k squad and tank for NafNaf over at objective secured, after my first squad met with his approval. Scenery wise, I did a bit more on the church for the city board. It's not much, but this is the rear wall of the building and will get walkways etc attached to it soon. I realise the aerial at the back is on at a quirky angle, but this is deliberate, I think it looks better and gives a better impression of the skimmer moving at speed. I also finally managed to get the airbrush I've borrowed working reasonably, so went over all the Dusk Knight stuff I could gather together, with significant progress made as a result, these guys should take a lot less time to finish now! First up on the progress table has to be the bikes and the land speeder since these are going with me to a tournament in June, then I'll probably work on the Centurions. There are then two very significant pieces of news for me. 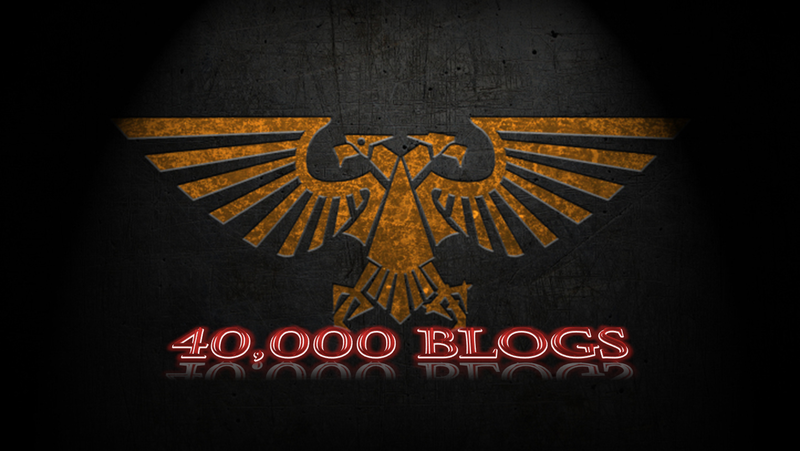 First, I had my first article published on another blog last week - you can read it here - 4 reasons why 40k is still the king of wargaming. So far the article has garnered over 20 comments, so I think it's a pretty successful start. Thanks to Thor for allowing me to join his team on an occasional basis! 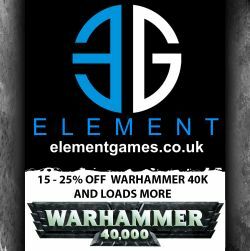 Secondly, Ryan over at MAD Wargaming has been bitten by the Age of Sigmar bug, and has started a tale of gamers series to get a group of players taking part in the game along with him. I'm a sucker for a good tale, so I agreed to jump on the bandwagon and this week I'll be getting my hands on the Slaves to Darkness Start Collecting set and an extra chariot to make my first 1000pt force. Before that though, my good buddy Tom sent over some figures to get me started and I decided to test out my ideas for a colour scheme on them first (probably not the best idea on the hero models, but hey ho!). Neither are finished yet, but the white armour and grey-blue cloaks/robes are definitely staying. Comus is closer to being complete, and it's a deliberate choice to make his chain mail rusty and battered where Gaspode's armour is pristine and clean. Basing will be fairly simple by means of Martian Ironcrust/Ironearth and grassy clumps, which should set the cold tones of the models off nicely I think. Here's a few more pics of the models that I took as Works in Progress. After the experience of painting these guys, I cannot wait to get cracking on some chunky units to make up the majority of my force - now I just want GW to release a battletome dealing with the old style chaos warrior/marauder armies to give them a nice bunch of coherent rules and I might even win the odd game! Blog reset - 8th edition blank slate! 8th edition live faq - round up and reaction. Hobby update - 24/4/17 - fates entwine! Back in the saddle - sorry for the absence!